The Tron ecosystem has undergone several significant developments in recent weeks. One of them is the launch of Tron Accelerator program, which is a contest for developers doling out a reward of $200,000. 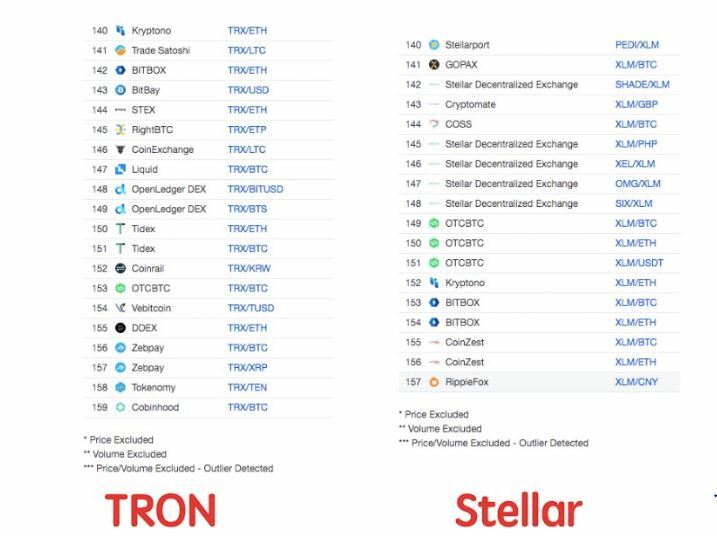 This also hinted towards the launch of the Tron Ecosystem Co-Builder Plan, which is a powerhouse for startups using Tron’s blockchain as well as the developers associated with Tron’s technology. On the market front, TRX is currently down by 0.61% wherein the token is trading at a price of $0.013 with a market cap of $875.9 million. At press time, the total trading volume in the last 24 hours was recorded at $68.1 million. On the other hand, Stellar is showing a dip of 1.95%. At the time of writing, the token was trading at a depreciated price of $0.11 with a market cap of $2.12 billion. Here, the 24-hour trading volume was observed to be over $74 million. ← Cardano, on track for a 2019 year at high speed?